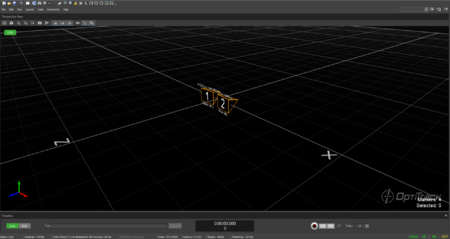 If you wish to change the location and orientation of the global axis, you can use the Coordinate Systems Tool which can be found under the Tools tab. 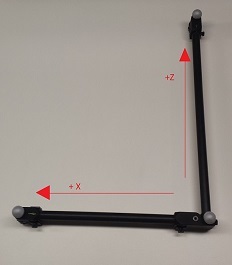 When using the Duo/Trio tracking bars, you can set the coordinate origin at desired location and orientation using a calibration square. Make sure the calibration square is oriented properly. First set place the calibration square at the desired origin. 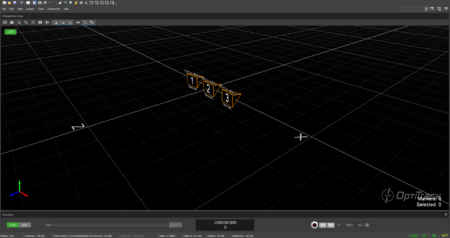 [Motive] Open the Coordinate System Tools pane under the Tools tab. [Motive] Click Set Set Ground Plane button from the Coordinate Systen Tools pane, and the global origin will be adjusted. 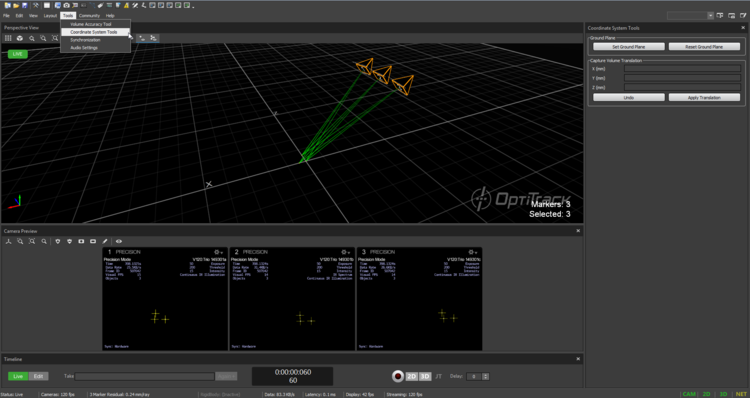 Using the Coordinate System Tool, which is available only when a tracking bar is connected. This page was last modified on 26 July 2018, at 07:41.